Before tax. While Supplies Last. Limited Quantities available. Cannot be combined with other discounts. 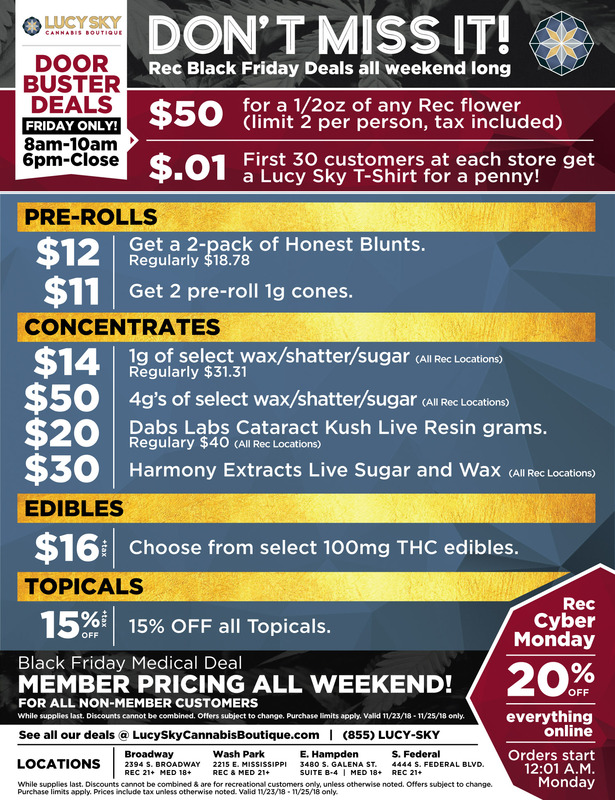 45% off select edibles, topicals, concentrates, cartridges, and more! Select brands. Not eligible with any other discounts. Not eligible with any other discounts.